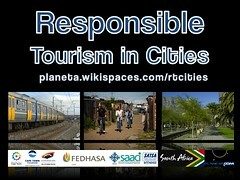 Planeta.com's founder Ron Mader was a speaker at the Responsible Tourism in Cities Conference held May 6, as part of the Indaba tourism conference in Durban. The event was presented by The City of Cape Town in partnership with Cape Town Tourism and South African Tourism. 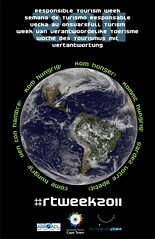 Media partners include Planeta.com. About 100 delegates attended the conference in person and there more than 150 simultaneous virtual delegates who joined via livestreaming video and real-time Twitter. The Responsible Tourism in Cities Conference brought together leaders in local government, sustainable tourism and social web, focusing on a practical set of issues - conservation and tourism in cities. It will help city officials, community organizations, the private sector, academics, NGOs, activists and other stakeholders understand some of the key issues underlying responsible tourism in cities, and will equip them with practical knowledge and resources to help make a positive contribution toward implementing responsible tourism in their city destination. The roles of city governments (local authorities) in responsible tourism: What cities can and cannot do well with regards to tourism, RT, and sustainability. How are city functions linked to responsible tourism (e.g., planning, zoning, health, security, education, etc.)? What levers are available and how can they be used effectively? What kinds of policies can work? How long does it take and how much does it cost? Cities, responsible tourism and the marketplace: marketing and selling city-based responsible tourism experiences; how responsible tourism impacts on a destination brand; promoting a “responsible” destination; understanding the responsible tourism consumer in South Africa’s core target markets. The business case for responsible tourism: What are the particular financial issues associated with implementing responsible tourism and adhering to responsible tourism management that are faced by the tourism private sector? What is different about being city-based? Are there different cost, risks or opportunities for taking responsible action by operators and facility managers, accommodation and service providers? What real data can we learn from? Do investors, managers, corporates and others view the financials of responsible tourism differently, and if so, how and why? What does it really cost? 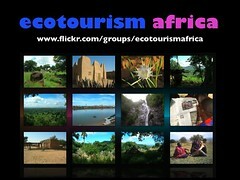 Does responsible tourism ever pay back in financial terms? Effective destination-wide collaboration on responsible tourism: who are the key stakeholders and what are the roles they can play? What structures and mechanisms for collaboration work well? How can communities play a more effective role? How can academic, policy, community and business interests be coordinated in some fashion that manifests in a high trust environment for all?